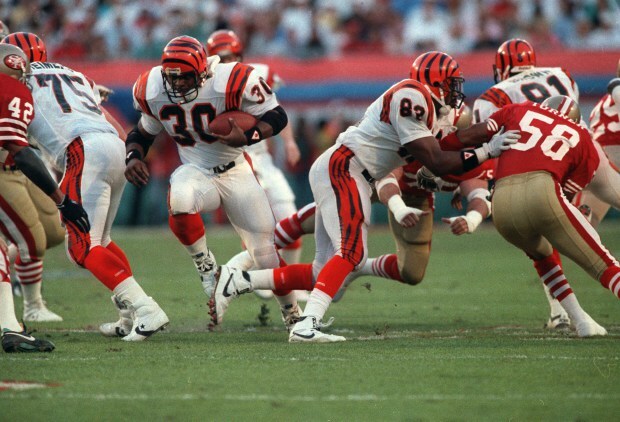 ​​Without a doubt, Super Bowl XXIII was the most exciting Super Sunday of the first twenty-three such Sundays, as the San Francisco 49ers and the Cincinnati Bengals staged a rematch of the Super Bowl XVI face-off. 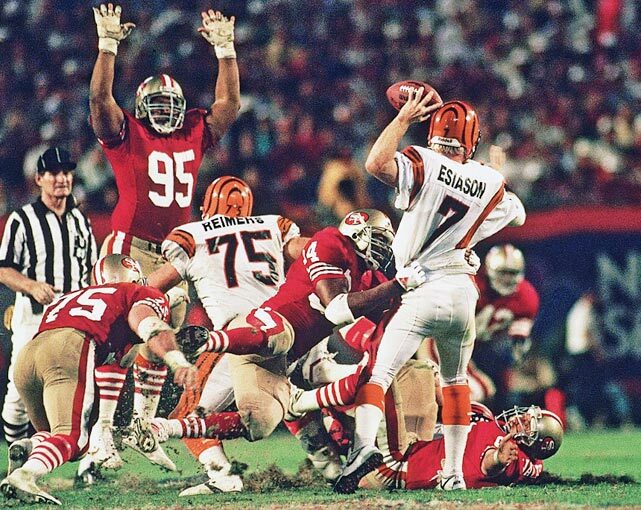 The contest was much anticipated, and while the 49ers were favored by seven points heading into the game, many people genuinely felt this was Cincinnati's year. The contest, however, would see two major injuries before the end of the opening quarter. 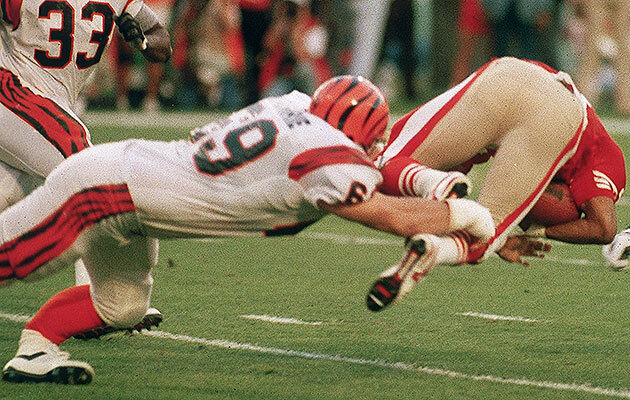 Tim Krumrie, veteran nose tackle of the Bengals would break his leg as he planted it in the turf in an effort to tackle 49ers running back, Roger Craig, while the 49ers would lose their starting offensive tackle with a broken ankle. 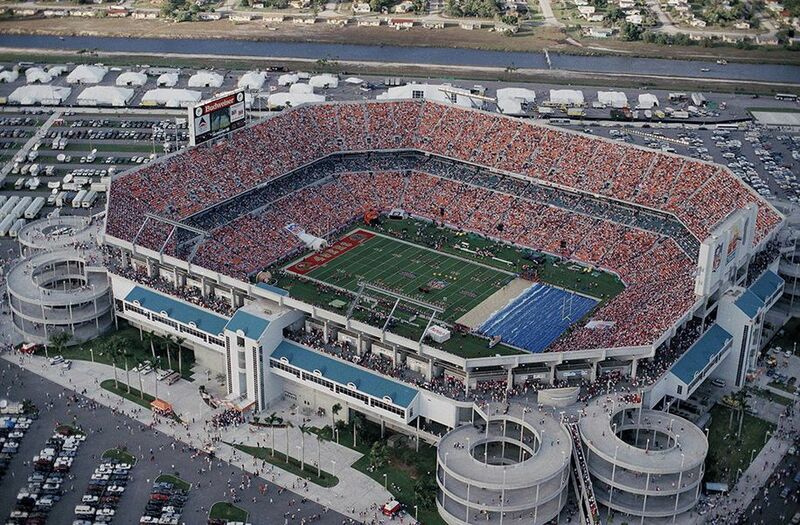 While competitive, the first half would see only a pair of field goals, with the teams entering halftime tied at 3-3. As the end of the third period neared, with the score tied 6-6, the contest came to life in an explosion of big plays. Following the 49ers' tying field goal, Cincinnati's, Stanford Jennings, took the following kickoff 93 yards to put his team in front 13-6. San Francisco, however, didn't take long to respond. 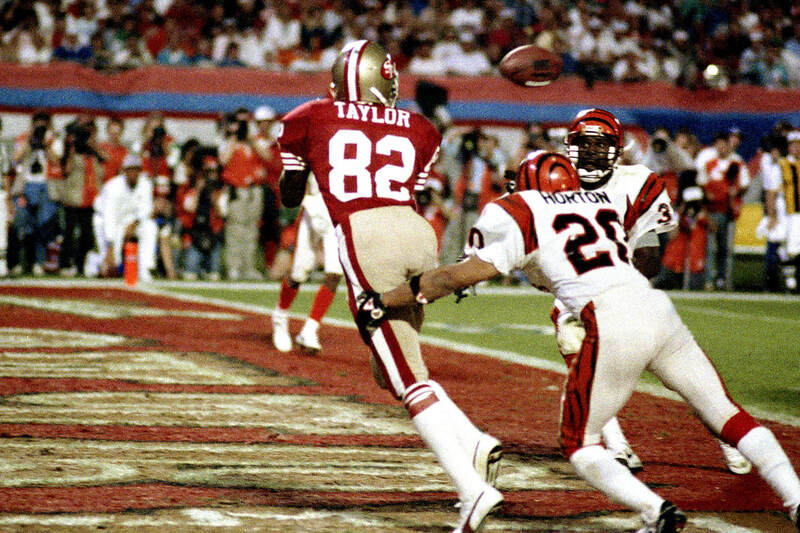 A methodical drive, with several breathtaking catches from eventual MVP, Jerry Rice, was capped by a touchdown from the stellar receiver. The Bengals would eventually tag on a field goal to take the lead, 16-13, with a little under four minutes to play. 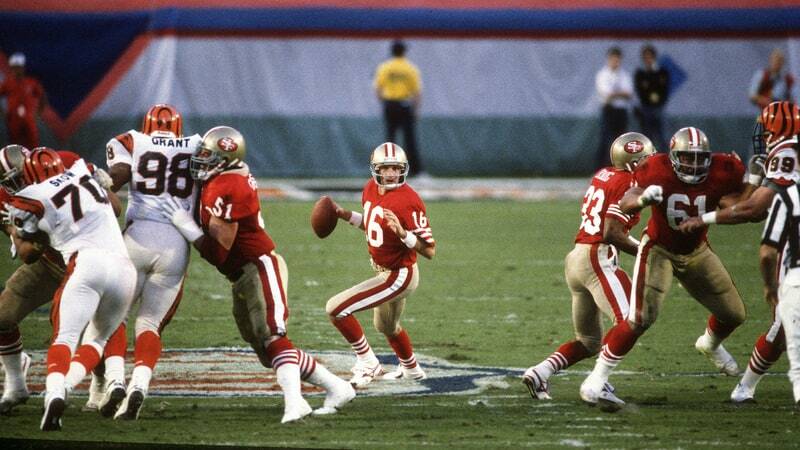 In what is perhaps his finest moment, Joe Montana drove his team steadily down to the 10-yard line. 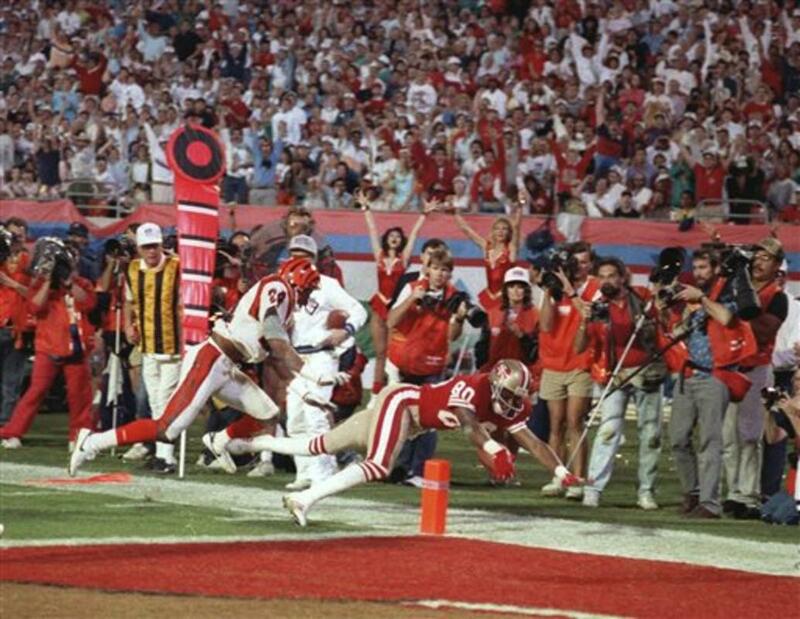 Following an almost sure interception going through the hands of Lewis Billups, Montana fired the winning score to wide receiver, John Taylor. With thirty-four seconds left, San Francisco had a 20-16 lead - a lead they held until the final gun. Halftime Show: "Be Bop Bamboozled"
In the days leading up to the game, the Overtown district of Miami was overtaken by riots following the shooting of an unarmed motorist by police. Many players would speak of being able to see fires and rioting happening from the hotel rooms. 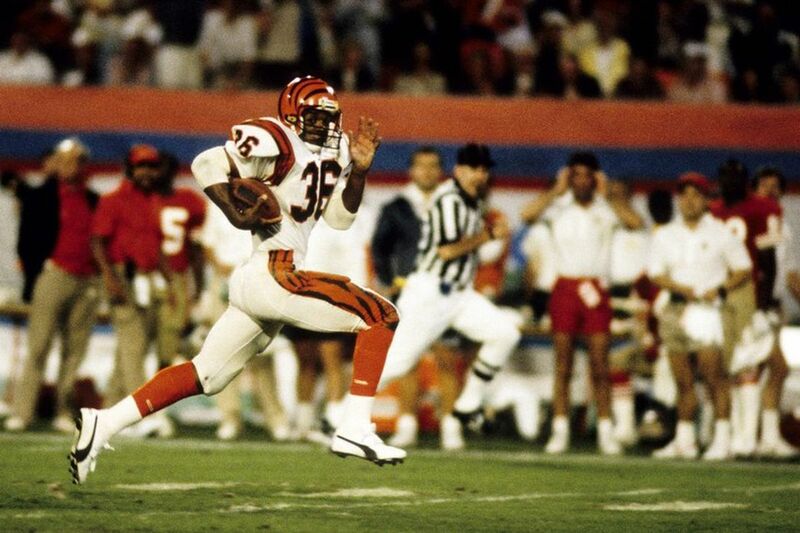 The Cincinnati Bengals had troubles of their own on the night before the game. Their running back, Stanley Wilson, who had past problems with drug addiction, would be caught under the influence of, and in possession of cocaine. It was also his third such violation under in the NFL. Cincinnati had to cut him from the starting roster, and he ultimately never played in the league again.